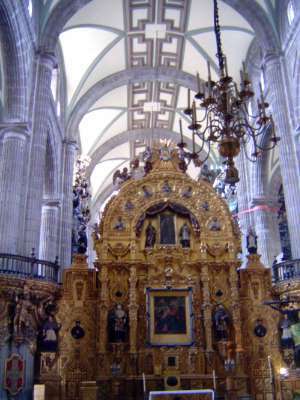 As so often happens in Spanish cathedrals, the nave is interrupted by an intermediate altar, in this case the Altar of Pardon, also by Jerónimo Balbás. According to one story, the name derives from the practice of parading here the victims of the Inquisition. Terry observes that the structure "mars greatly the interior view of the church."